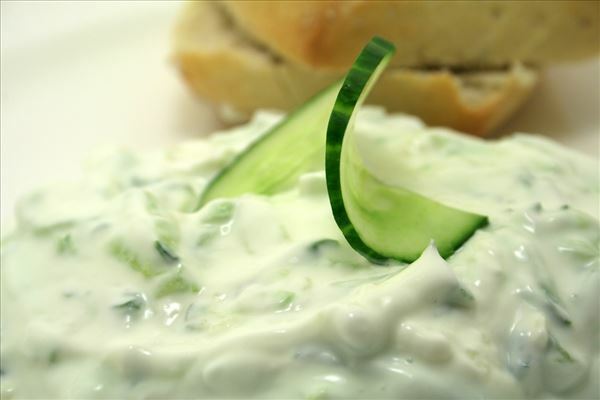 Grate the cucumber and mix with the Greek yogurt, crushed garlic and salt. 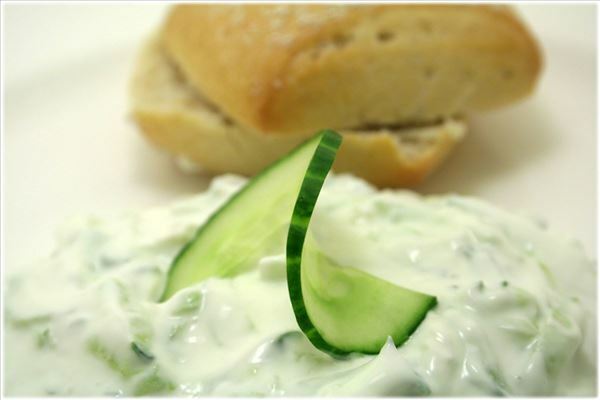 Serve the tzatziki with slices of bread or baguette. Powered By Scale Soft Version 1.3.3.0, 0.64 s.